Thoughts on AQHA's lip chain rule…I'm all for policy developed on evidence – which often collides with emotion In the horse biz, where we can get stuck in "we've always done it this way" kinda thinking. There seems to be two types of riders in the world, those that love an OTTB and those that don't! 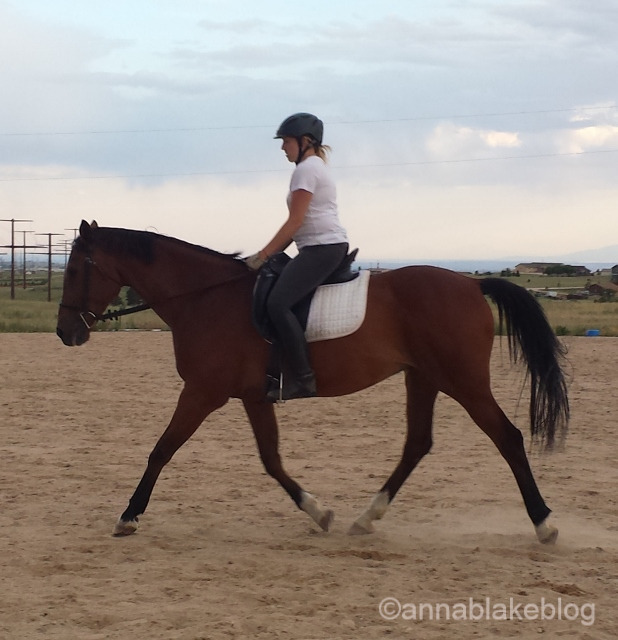 I am squarely in the former category and if you are also there, well make yourself comfortable because this week on Daily Strides we are focusing on basic exercises you can begin implementing with your OTTB today that will help lay a solid foundation for future schooling, regardless of the discipline. If you operate a boarding barn, managing that barn carefully is important to its success. Are you wondering how you could be better at your barn management job? One of these five tips might help. Our horse hobby is an expensive one, but did you know that you can actually use your love of horses to earn a little extra money on the side? If picking up a part-time job isn’t for you, perhaps one of these money earning activities could help, instead. I did not get to ride Cider last week, it rained. So on Tuesday I called up Debbie to see who I would be riding for my lesson on Wednesday, and I found out she was still up at her mother’s and I would not get my lesson. At least I found out before I got to the stable with the wrong tack. Does Your Horse Like Hearing Music? Radios are common in many barns, and some barns even play music in riding arenas during rides. But does playing music actually benefit your horse? You’ll find differing opinions, but here are some factors to consider when making up your own mind. How to Train Your Horse to Hate Arena Work. Self Belief Tip no 4 - How do you really see yourself. Today I am asking you to take a good look at how you see yourself? What's your take on you and where you are at, in your life, relationships, career, and horse life and work. Chances are that your hay bill is one of your highest bills in caring for your horse. The last thing that anyone wants to do is to waste hay, especially when the cost of hay is so high. Luckily for you, we’ve got some great tips to minimize hay wastage in your barn. As horse owners are getting ready to hit the road this spring, they should keep in mind the risk that traveling to new locations could pose to a horse’s health. There is so much talk about vulnerability, authenticity and self-acceptance these days. I love it. In case you haven’t seen the (by now famous) TED Talk by Brene Brown yet or want to see it again, I'll post the link below.